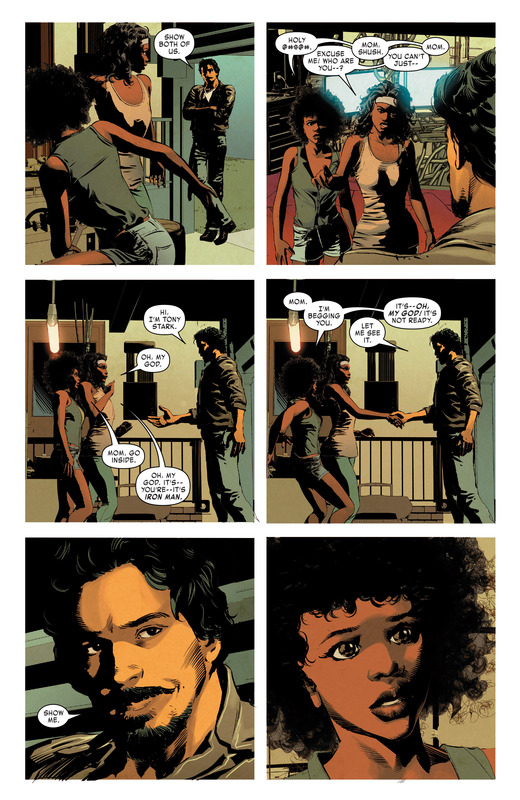 I’ve always stated for the record that I am one of those people who have been turned off by Brian Michael Bendis’ writing in his other books. 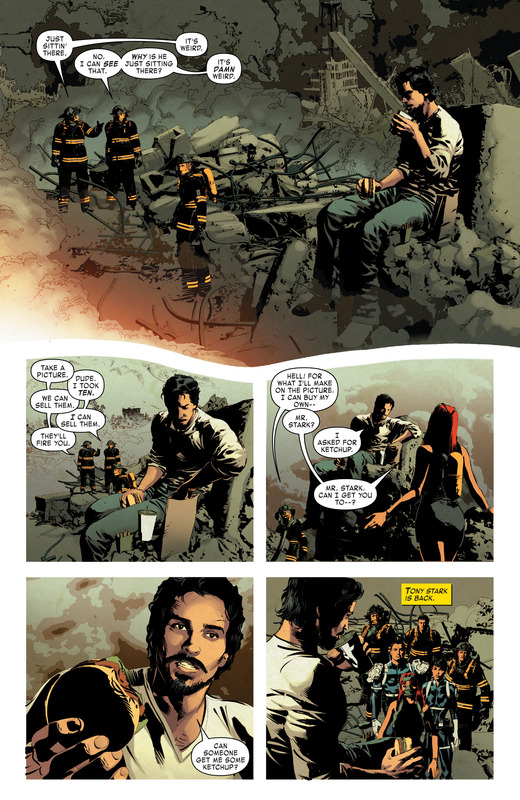 But his work with Invincible Iron, particularly Invincible Iron Man # 12 makes it hard not to appreciate what the writer can do with the right character and the right amount of freedom. 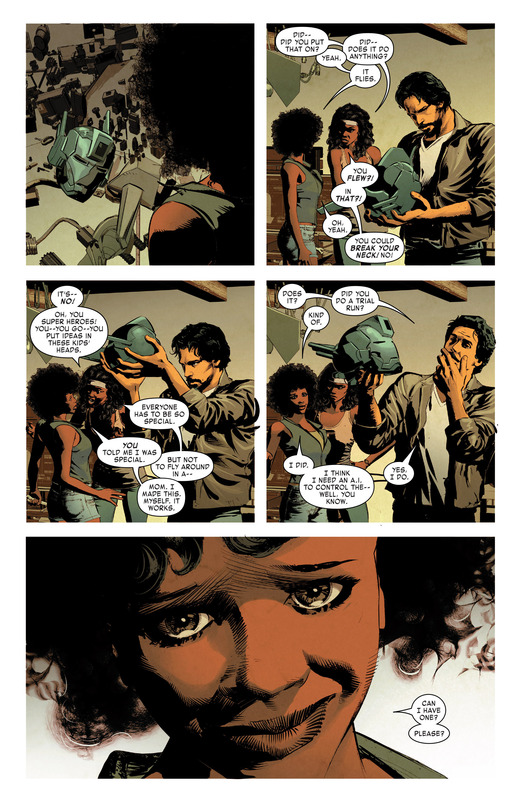 So today, let’s look at those pages from issue 12 featuring Tony Stark and the NEW Iron Man, Riri Williams. 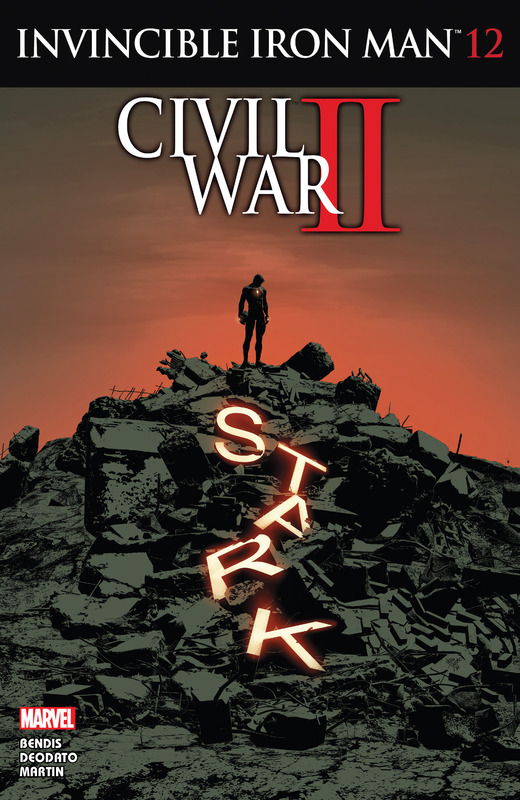 In this issue, we see the aftermath of the Inhumans’ attack on Stark Tower and open the issue with Tony Stark deep in thought and having lunch. We catch our new heroine in her apartment with her mom discussing her future, her getting in trouble with the school for “stealing” some tech as well what exactly she’s working on. Of course Tony Stark shows up uninvited. … and now for the big reveal. I dunno, it looks so much like an IRON MAN-GUNDAM hybrid. Riri also realizes that she needs an A.I. to work with her when it comes to flying and moving in the armor. 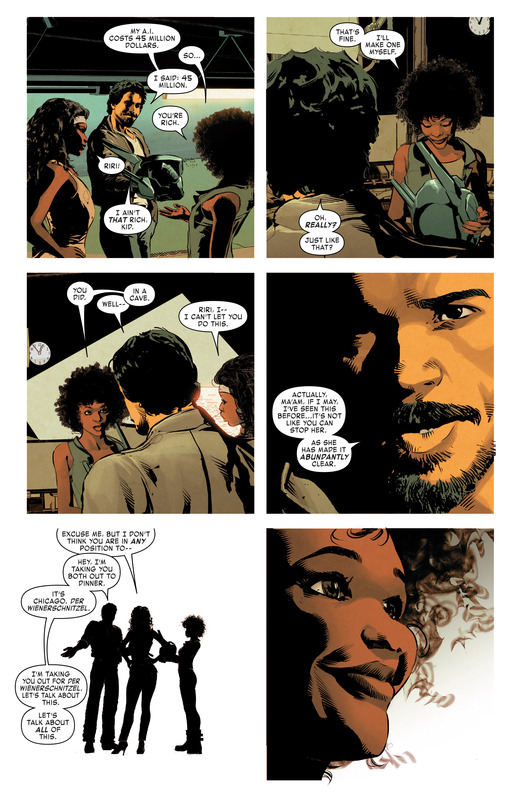 So I dunno, maybe I do like Bendis’ writing for this issue. 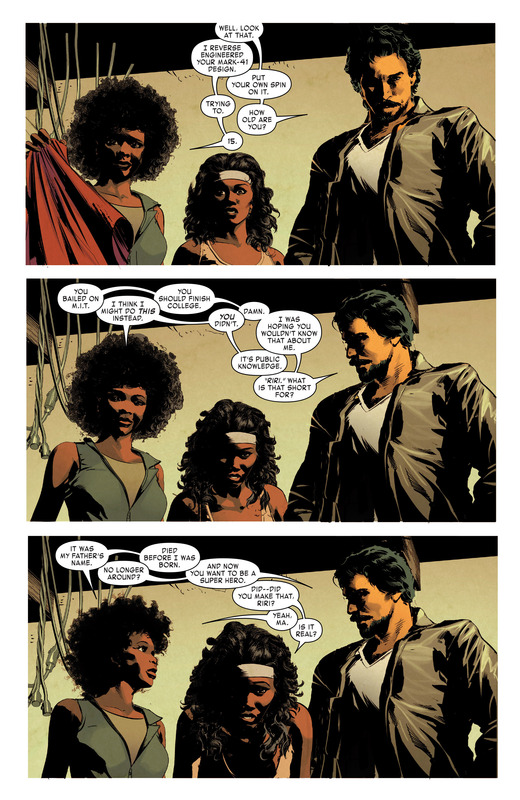 Maybe I’m going to enjoy Riri William’s run as the Iron Man for the Marvel Universe after Civil War II. I wonder though what’s going to Tony Stark by the end of that event book.